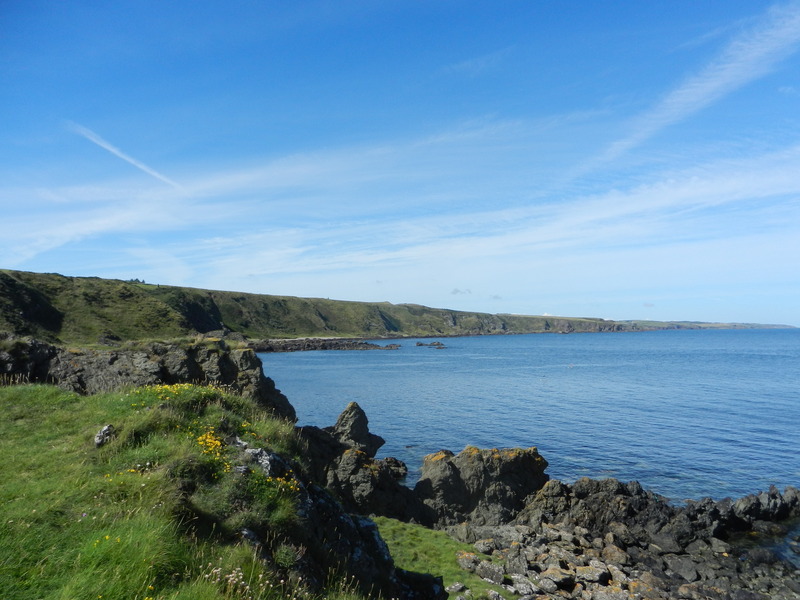 Tuesday came after another night in the bunk beds (we weren’t sharing one, we had one each, so both opted to sleep on the top bunk, a bit of childhood regression), and we faced a two hour bus journey to Aberdeenshire to visit Nigg bay and Stonehaven. I had an inkling I would be seeing some granite… and the sun happened to be shining bright! 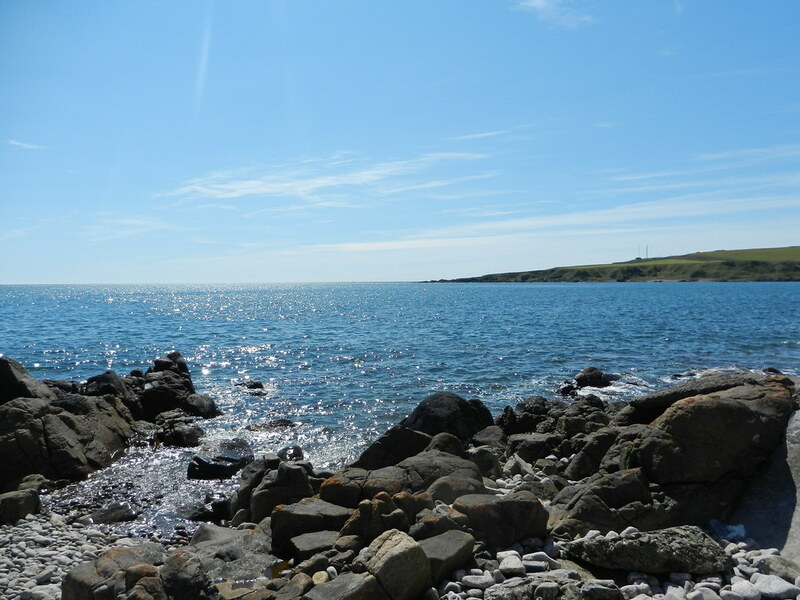 The coast at Nigg Bay, with the sun shining bright. 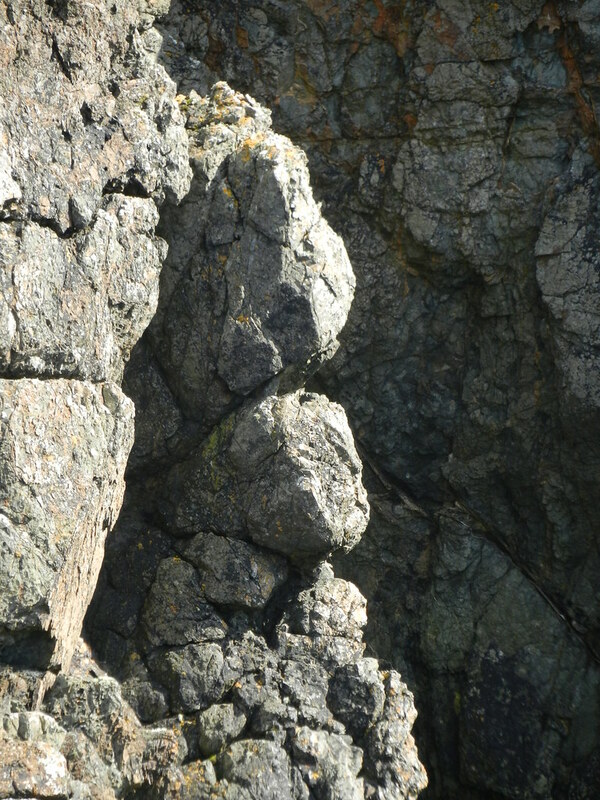 Granite at Nigg Bay, forming blobs or bands in amongst the country rock. 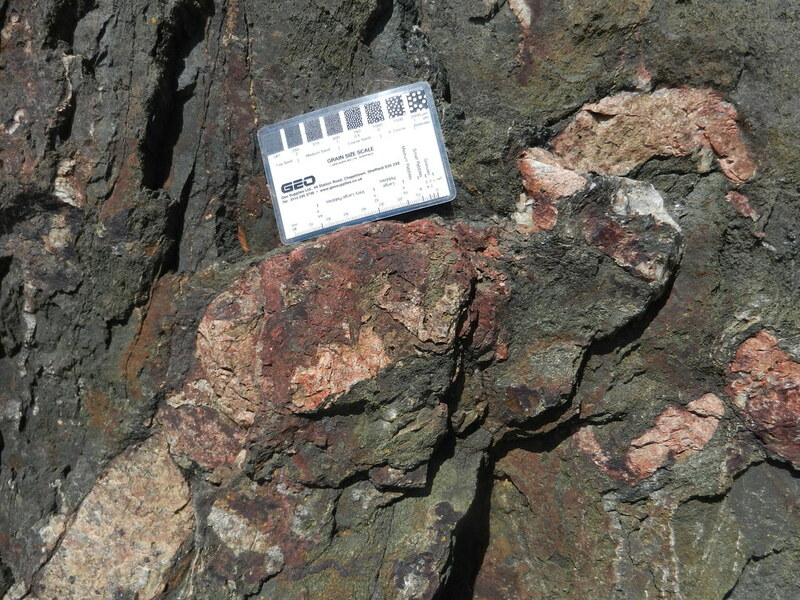 The granite in Nigg Bay is the more uniform, red-coloured rock, while the country rock is gneiss, you can see the folding clearly in the upper parts of this picture, and much better in some of the later parts. 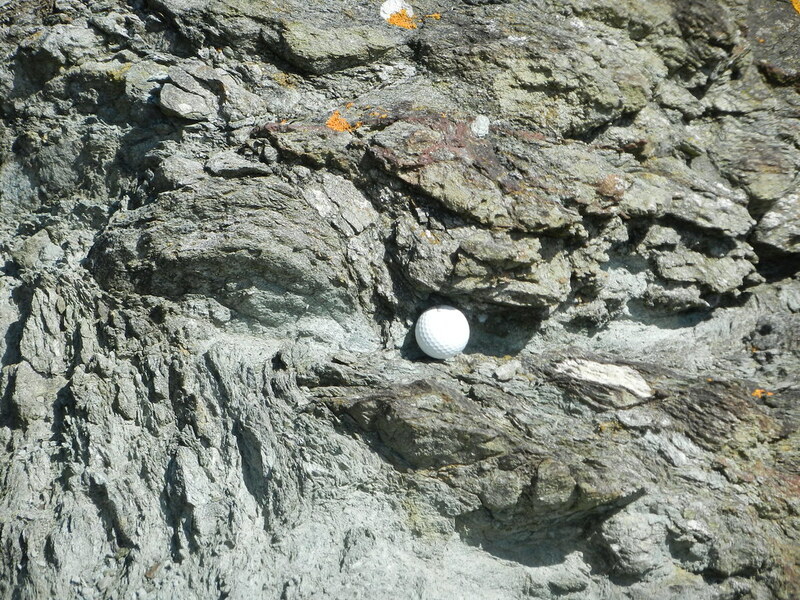 The granites here are migmatites, formed when partial melting occurs during metamorphism. About a hundred metres north along the coast was another huge rock on the pebble beach, which was fantastic and had loads to look at. 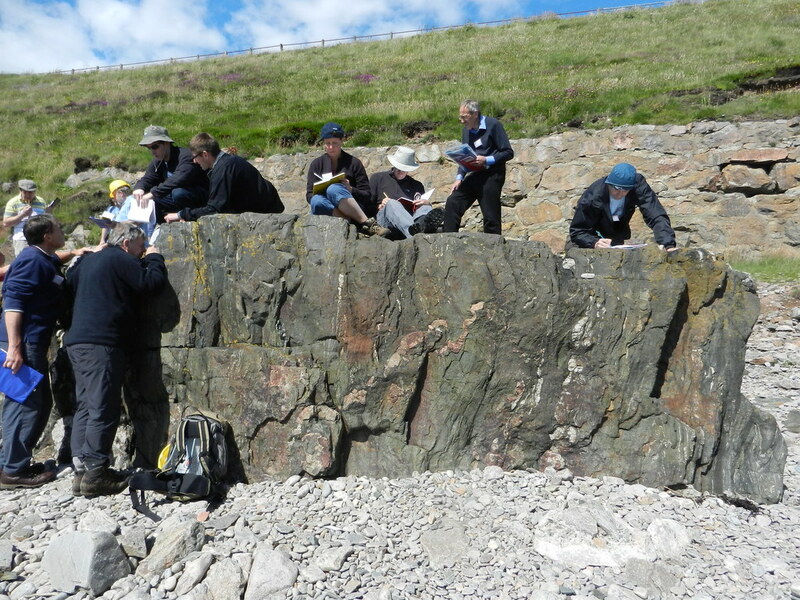 This rock had brilliant examples of ductile deformation. The migmatite snakes right through the centre, close up below. From the top you can see quartz boudins stretching along the face. Quartz boudins stretching along the top of the rock. The word “boudinage” comes from the French for sausage, because the mineral assemblage is stretched out into a sausage shape due to ductile deformation. 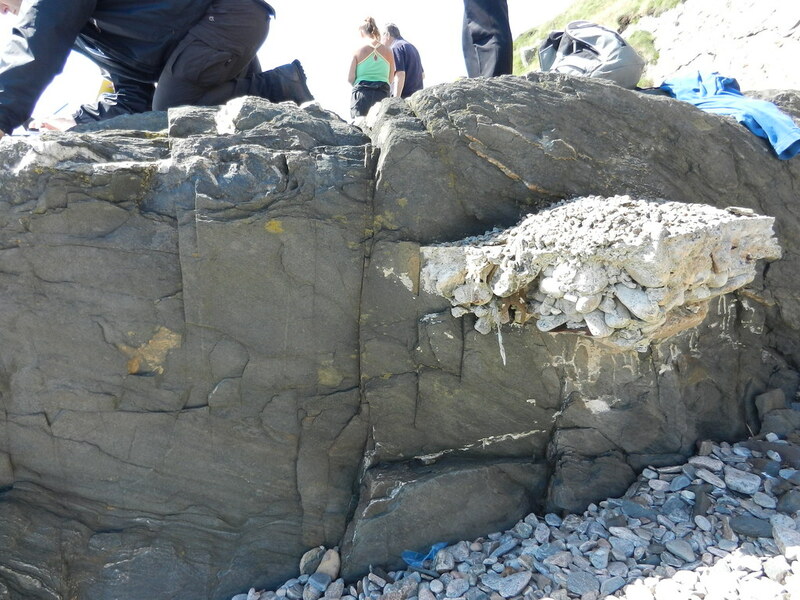 There was also a lovely big chunk of conglomerate sticking out of the side, which looked fantastic! I love the messy look of a good conglomerate, I have a lovely hand sample on my desk I will photograph at one point. 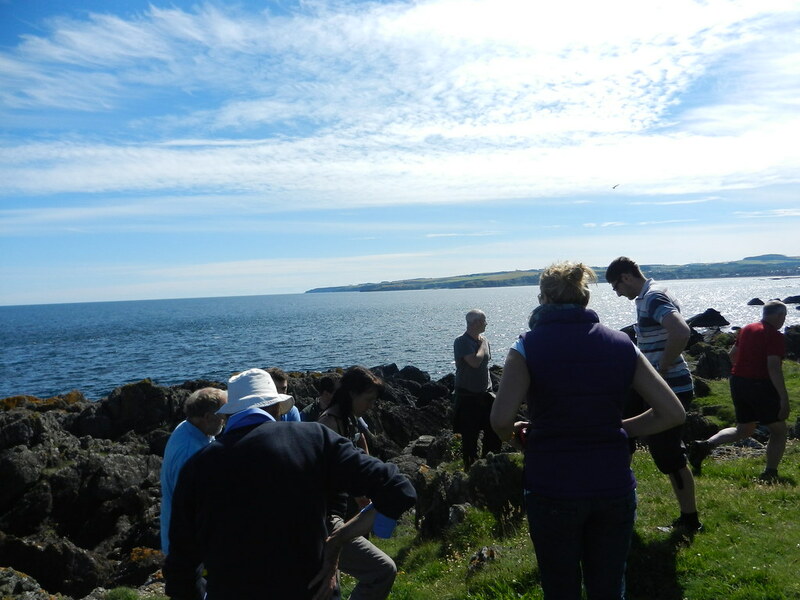 After filling our field notebooks sufficiently with sketches and observations we were packed back onto the bus for a short journey back through Aberdeen to Stonehaven, further south down the coast. We walked from the car park through a small wooded area, to emerge walking under a huge aqueduct / train bridge overhead, and the coast opening out in front of us between two hills. Another 10 minutes walk got us to Skatie Shore, where we stopped and enjoyed our lunch on the beach. 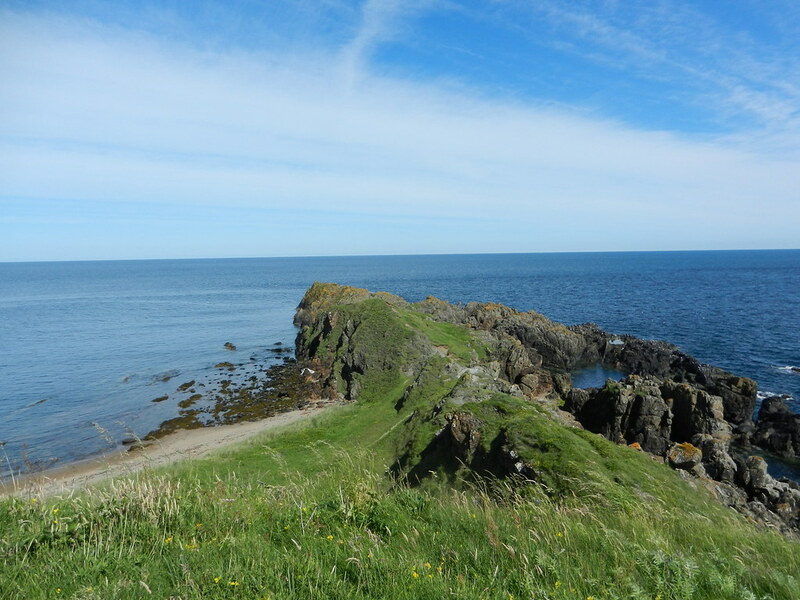 Stonehaven coastline, from the Highland Boundary Fault, looking north, with the Skatie Shore rock outcrop protruding into the sea. This picture was from later in the day, but shows the area we worked in during the afternoon. The Skatie Shore outcrop is the low-level dyke feature running into the sea near the middle of the image. There was a lovely coarse sand beach to relax on for a while, before embarking on more geology for the afternoon. 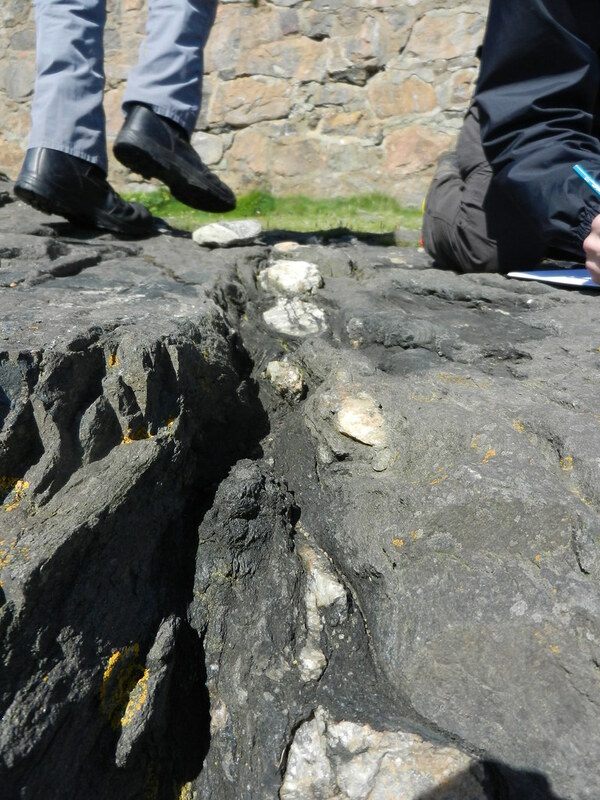 The rock outcrop at Skatie Shore, with both bedding and cleavage visible. They have also been folded. This is what we had to work with. 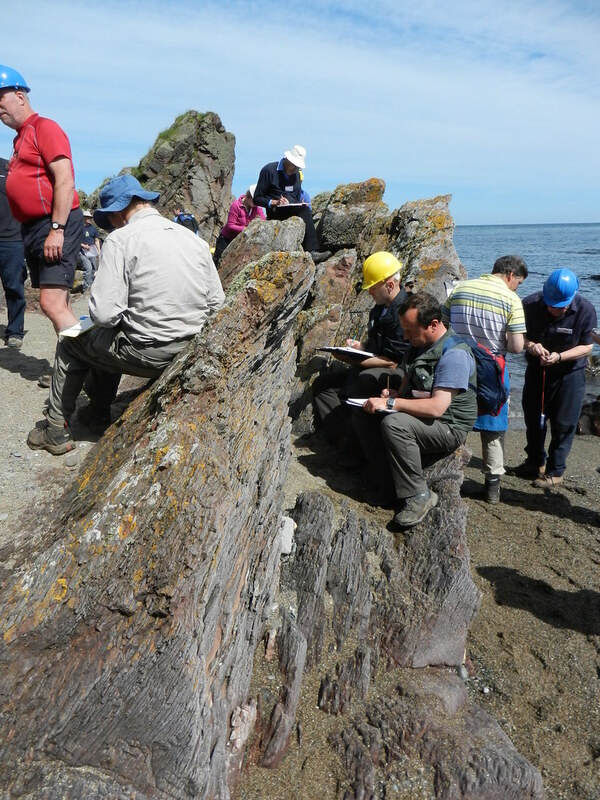 A lovely bit of deformed rock where we had to dig around and look for way-up structures in order to determine the fold facing direction. I climbed in between the ridges amongst the spiders for a good look, they weren’t too happy with my presence though! Next we walked a little further down the coast and up to the top of the cliffs. 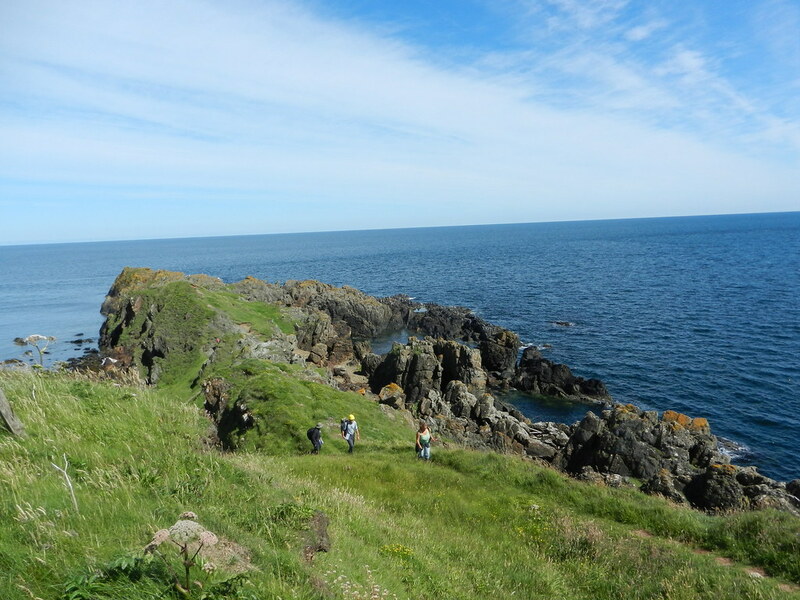 Walking up the cliff to survey the area below and look down at the Highland Boundary Fault. From this vantage point we could look down over, and actually stand on, the line of the Highland Boundary Fault, and see the Highland Boundary Complex to the South. 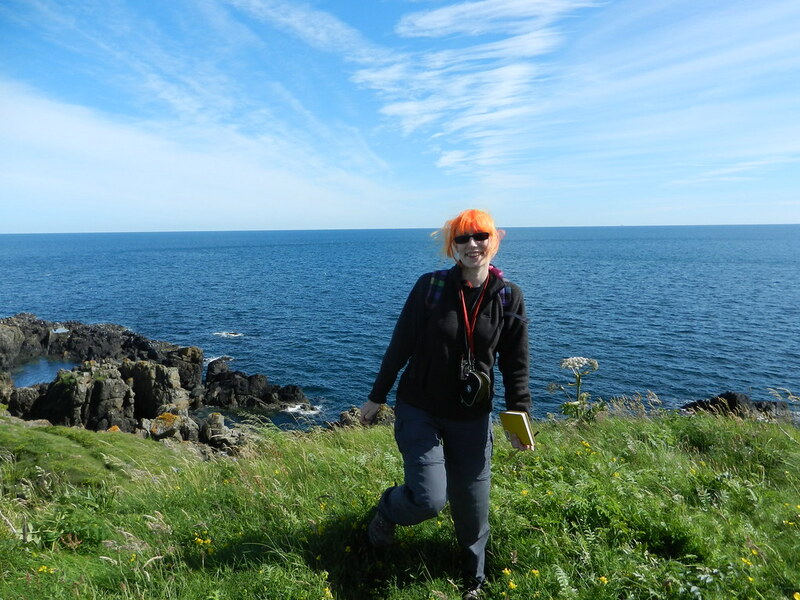 Here’s one of me standing on the Highland Boundary Fault. Garron Point is the cliff heading out to sea which marks the line of the Highland Boundary Fault, with the Highland Boundary Complex to the South (right of image) and Skatie Shore to the North (left). Garron Point, marking the line of the Highland Boundary Fault. There was a golf course adjacent to the shore where we were stood. The guy who hit this shot must have been a bit upset! The closest part of the Higland Border Complex to the HBF is interpreted as an ophiolite. We went looking for evidence. 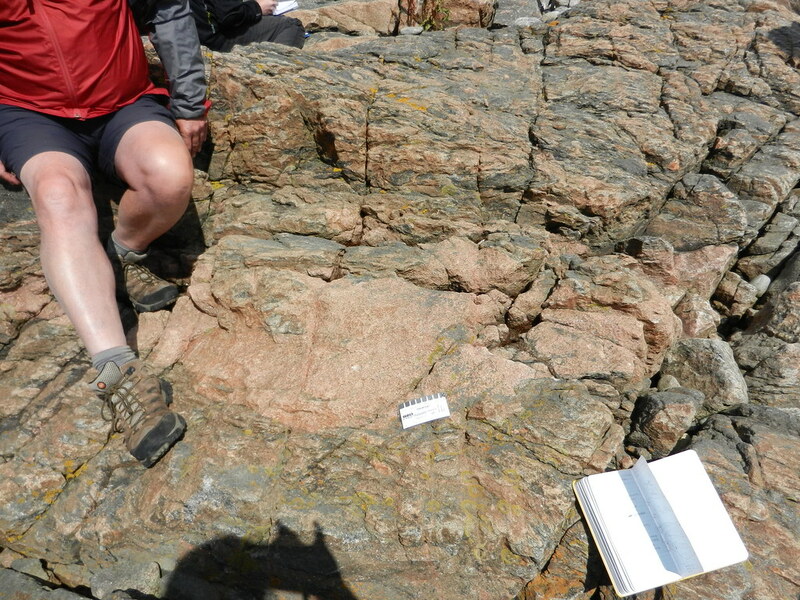 Highland Border Complex ophiolite. Pillow lavas? You decide! This was the closest I could find to pillow lavas, although I’ve seen much more convincing ones on Arran earlier this year! We couldn’t get a close enough look, so a few of the fitter folk decided to go for a bit of a scramble to the edge of Garron Point to see if we could see anything more convincing. No such luck, but great for some photos of the coast! ← SXR339 – Walls, Wolves Rock, and Rain!